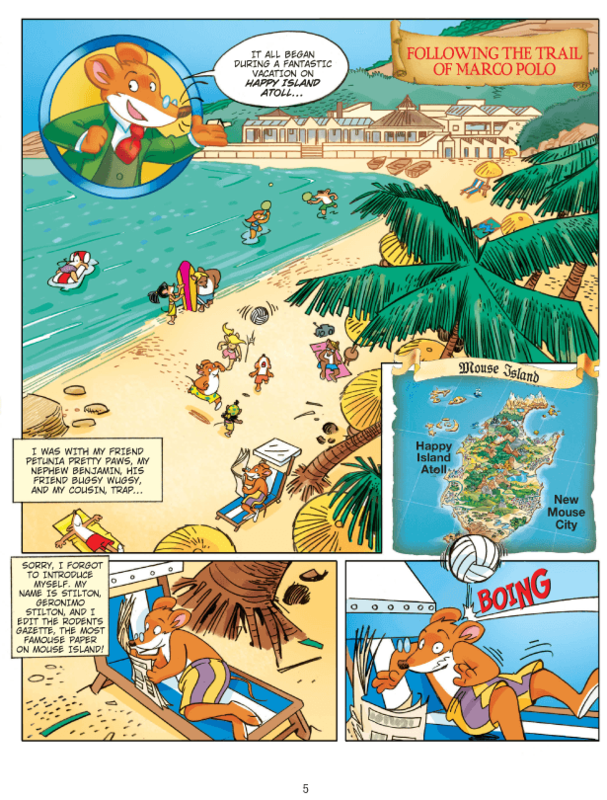 What begins as a relaxing vacation turns into a time-traveling adventure, where Geronimo Stilton must travel to Khanbalik, or “The City of Khan” (modern day Beijing) in 13th Century China where he encounters Kublai Khan and Marco Polo. 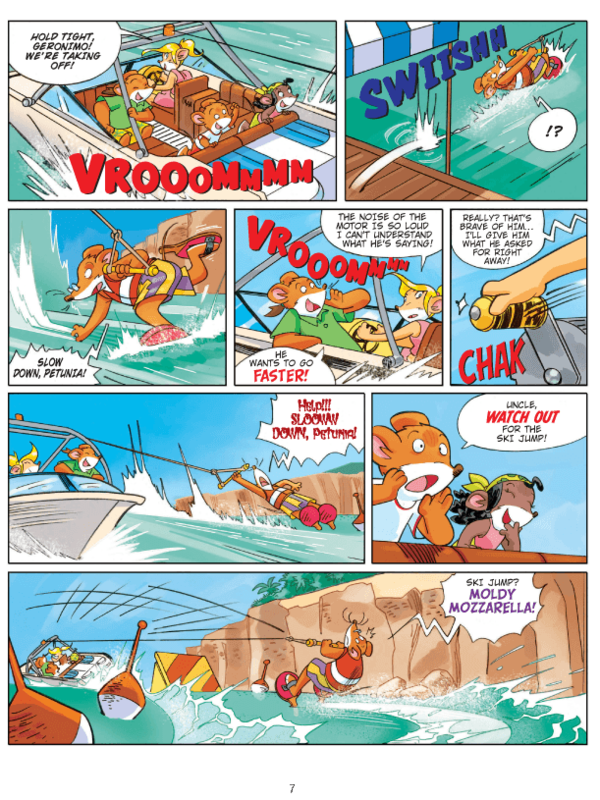 This time, Geronimo and friends must stop the Pirate Cats from corrupting Marco Polo’s famous book “The Travels of Marco Polo,” and changing history forever! 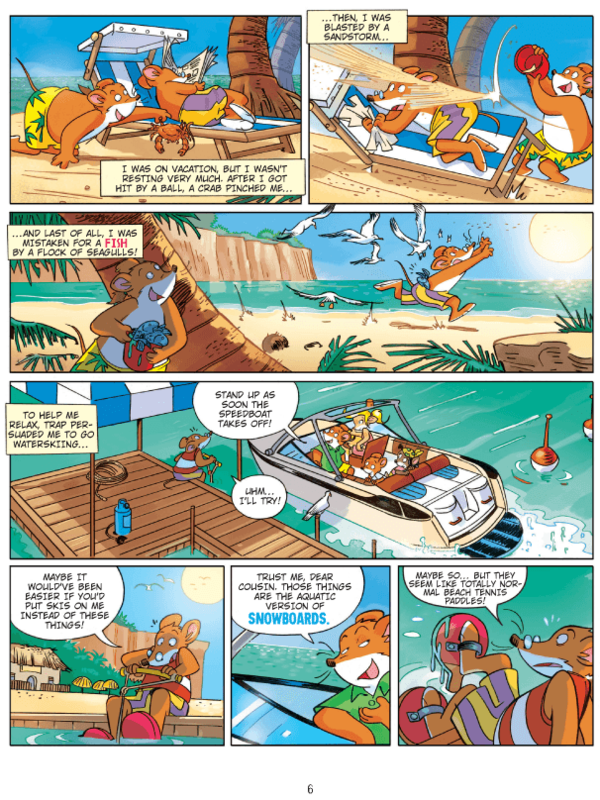 Educational Description: Historical fiction; time machine travel in to the past, graphic novel; Geronimo Stilton series. Humorous, animal fantasy, adventure, mystery.